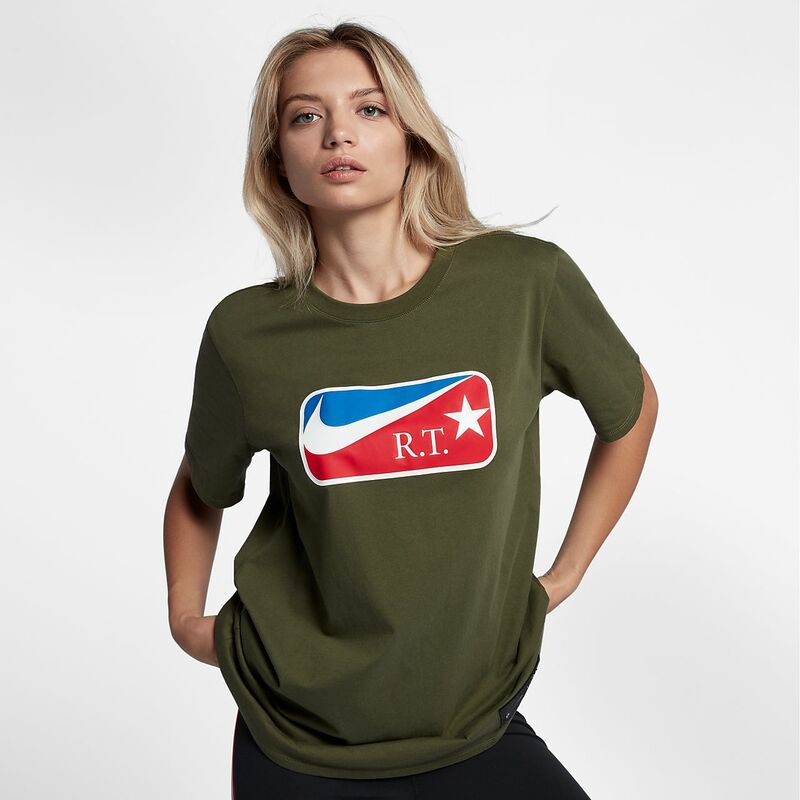 The Nike x RT Women's T-Shirt celebrates the latest collaboration. A large, matte-embossed logo displays the RT and Swoosh logo front and centre. A premium jock tag sits at the waist in classic basketball fashion. The Nike x RT Women&apos;s T-Shirt celebrates the latest collaboration. A large, matte-embossed logo displays the RT and Swoosh logo front and centre. A premium jock tag sits at the waist in classic basketball fashion. Couture creator Riccardo Tisci teams up with NikeLab to celebrate the elite athleticism of basketball. The Victorious Minotaurs apparel collection unveils a fictitious new squad, born from Tisci&apos;s obsession with hardwood heritage. The resulting off-court collaboration outfits basketball&apos;s best with eye-catching pieces suiting their stature. Whether warming up or leaving the changing room with heads held high, the Victorious Minotaurs look to elevate all who dare to reach for the stars. Have your say. Be the first to review the Nike x RT.